When I was small, someone—maybe a librarian or maybe LeVar Burton—read me a story about an artist whose drawings came to life on their completion. The artist, though, wanted to keep his wild talent a secret. Which was, at first, easy. In drawing each picture, he simply left something out. He'd withhold a farmhand's Adam's apple, for instance, or rid a ship of an important cord in its rigging, and, sure enough, everything would keep still and two-dimensional. But then one day (of course) a bead of ink dropped from the artist's pen, landing in exactly the place where he had not drawn a bird's eye, and off the thing flew, blowing his cover. I've long suspected Zadie Smith of possessing a similar magic. As for these two girls, Tracey and the book's unnamed narrator, they throw in together thanks to a Saturday morning dance class. Apart from this shared activity, they are not likely friends. The only other circumstance in favor of their attachment is geographic proximity; the estates (read: lower-income housing complexes) in which they live sit kitty-corner. Much more works against their connection; they go to different grade schools and have mismatched dispositions. Tracey is ringletted and foul-mouthed. She eats pink cereal for her tea (read: supper). She's a virtuoso of sass, of amelioration, of defensiveness. She slouches through school but is selectively keen. She can scan the choreography of a dance or the configuration of someone else's weaknesses without apparent effort—and can exploit such data, devastating rivals (and the occasional friend) and, yes, dancing. Exactly like the angel she is not. Swing Time's narrator—flat-footed and enamored with the past, with Top Hat and Meet Me in St. Louis, with Bojangles and the Nicholas Brothers—cannot keep up. Not at Miss Isabel's middling dance school for girls and not in daring bad behavior. She has none of Tracey's imperviousness. On the contrary, everything sways her: songs, schoolyard fads, her mother's lectures, her father's shrugging, and whole species of silences. And Tracey, always Tracey. Over the course of Swing Time, these two girls grow up and, fitfully, apart. By the time the novel ends, they are thirtysomethings. Tracey keeps her knack for mimicry and the narrator her bent for living vicariously, but both make compromises. Both, in fact, become compromised versions of their childhood selves, as I suppose we all do. Swing Time's characterization, however, compromises nothing. I can imagine these grown women giving Smith's prose the slip and taking on flesh just as easily as I can imagine an incarnation for the asymmetric pair of girls with whom the book begins. Yet here is an even more remarkable thing: it isn't just the two characters at the center of Swing Time that strike me as irreducibly themselves. It's also their parents. The narrator's mother, a woman prickly with aspiration, and her father, a kind sad sack, strike me as familiar yet unrepeatable. So does Tracey's mother, with her sloppy generosity, her sneer, her girlishness worse for the wear. And her volatile father, his long absences explained with an inspired lie (Tracey says he's one of Michael Jackson's backing dancers). Likewise, the whole retinue of the narrator's eventual employer, the international pop sensation Aimee, hover very close to being itself, from crusty, trusty Judy to subtle, particular Lamin; from unsubtle Granger to leery, approachable Fern. And when a West African school teacher with "Disney-bright features" enters the narrative largely to give the narrator shelter in the village that Aimee has singled out for her patronage, even she cannot remain an extra. The lovely Hawa, too, comes across as ready to shake off her fictional existence in favor of the real thing. 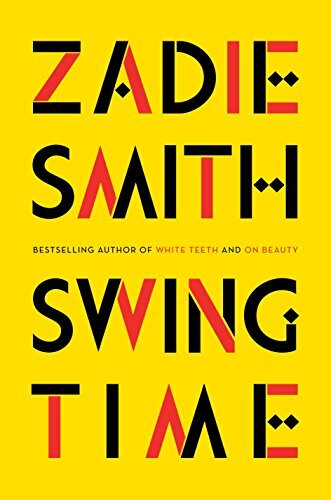 Zadie Smith's dedicated readers, of course, will have already met, in her writing, characters who test the screen that separates art and life. I know because I am one of those readers. If you're not yet, let me point you to On Beauty's Kiki Belsey, who sweats and laughs more convincingly than some of my kin. Or toward Smith's short stories, toward Miss Adele (of "Miss Adele Amidst the Corsets"), and toward Fatou (of "The Embassy of Cambodia"). How easy it would be to mistake either of them, in memory, for folks who really did draw breath to waylay you with their stories.